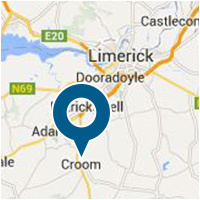 Croom Precision Medical has successfully established a long working relationship with the students and staff at local colleges and universities over the past decade. With a strong emphasis on Research, Development and Innovation, CPM has strived to support and co-research many start-up company projects with the University College Dublin, Queens University Belfast, and University of Liverpool . In recent times, CPM has been involved with award winning medical device projects with the Cork Institute of technology and I-Form and continues to work with students on their research endeavours. Currently collaborating with students from the University College Dublin, CPM continues to research and develop new manufacturing technologies. CPM also has a number of industry technology development [partners including AddiHive, Renishaw and Irish Manufactruing Research.